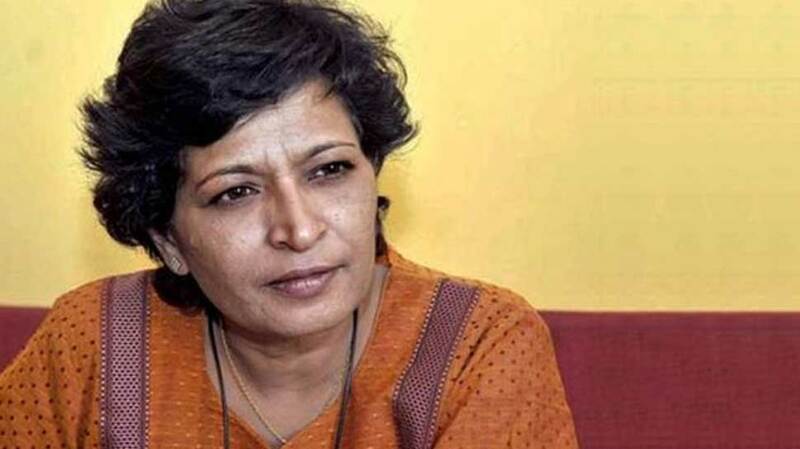 Two more suspects were arrested in the case involving the murder of journalist-activist Gauri Lankesh. They will be in police custody for questioning over the next 15 days. The police zeroed in on the men after questioning one of the men arrested in case. Mohan Nayak, 50, was arrested from Sullia in the coastal Dakshina Kannada district on July 18. With these, the number of arrests in the 10-month-old murder case has gone up to nine. Ms Lankesh, a vocal critic of right-wing hardliners, was shot dead outside her Bengaluru home in September last year. The police said the men, Amith Baddi and Ganesh Miskin, are residents of Hubli in Karnataka. Amith Baddi is a goldsmith while Gamesh Miskin drives a TSR and makes incense sticks in his spare time. Both men, who are in their late-20s, have been accused of murder, abetment, conspiracy and under various sections of the Arms Act. The police are yet to spell out their role in the case but it is suspected that they were involved in destruction of evidence. After the arrest of Mohan Nayak, Karnataka Home Minister G Parameshwara said, "His arrest would shed light on several aspects of the conspiracy and the murder and the Special Investigation Team will soon close the investigation". The police claim that the key accused in the case - Parashuram Waghmare - the man who pulled the trigger on the 55-year-old journalist on the night of September 5, has already been arrested. The SIT claims Mohan Nayak had provided shelter to Parashuram Waghmare, Amol Kalle and Praveen in June-July 2017, when the conspiracy for the murder was being hatched. The series of arrests in the case, which outraged the nation, had started in February, with the arrest of T Naveen Kumar from Mandya in Karnataka. The police said the man, an illegal arms dealer, has also admitted to planning the murder of KS Bhagawan, another rationalist, writer and a strong critic of Hindutva. Forensic reports have said the gun that was used to kill Gauri Lankesh was also to murder MM Kalburgi, a well-known rationalist who was shot in August 2015.